Black Salt Collective will inhabit an architectural manifestation of their interdependent landscapes, where non-linear identity results in atmosphere. When inhabiting SPACE, we reflect on relationship(s) to settler colonialism and its ongoing implications. As guests, we manifest PLACE as a site to present complex narratives that relate through and across time. Our living document subverts the voyeurism of a diorama, complicating viewership, authorship, and gaze. Black Salt embodies a complex temporality through documentation of spatial environment as a testimony to the living quality of place. This is a site for reflection on what it means to inhabit and create (re)generative space. These are constellations of relation that shape contemporary expressions of resistance, resilience and creative expansion. 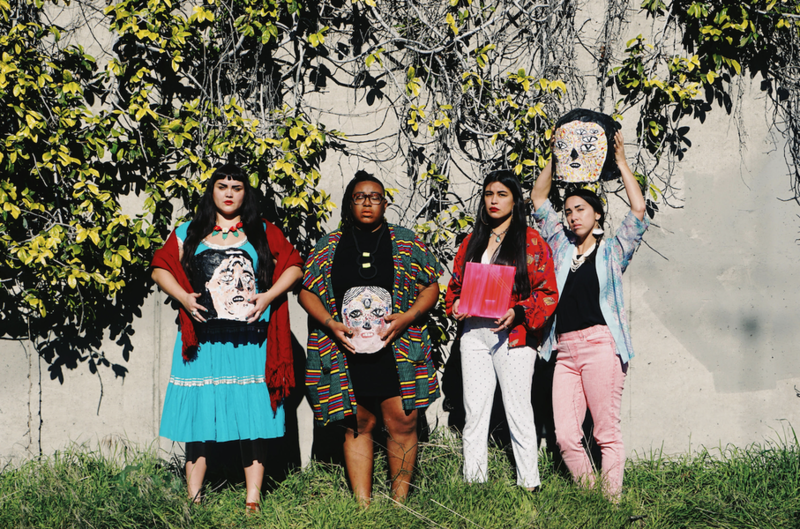 Black Salt Collective embodies cultural and contemporary narratives. The work is cultural, but not “cultural” in the anthropological sense, as cultural art is often seen through a Western lens. Black Salt expresses contemporary non-linear identity in which experience results in atmosphere. 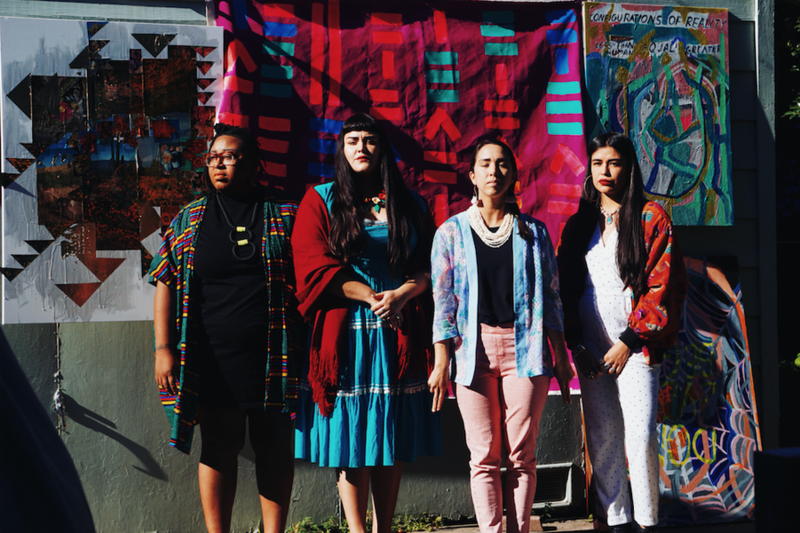 As contemporary Black, brown and indigenous women, we benefit from our interdependence. Our collaboration is creative labor that is both physical and visceral. Healing and spiritual expansion, both individual and shared, is central to our art practice, a necessary part of our collaboration. Our work conveys a respectful exchange of cultural knowledge honored through a contemporary artistic process, weaving elemental textures that are transmuted through video, sound, collage, performance, and painting. The multimedia works borne of our shared practice create intimate space that is both customary and contemporary. 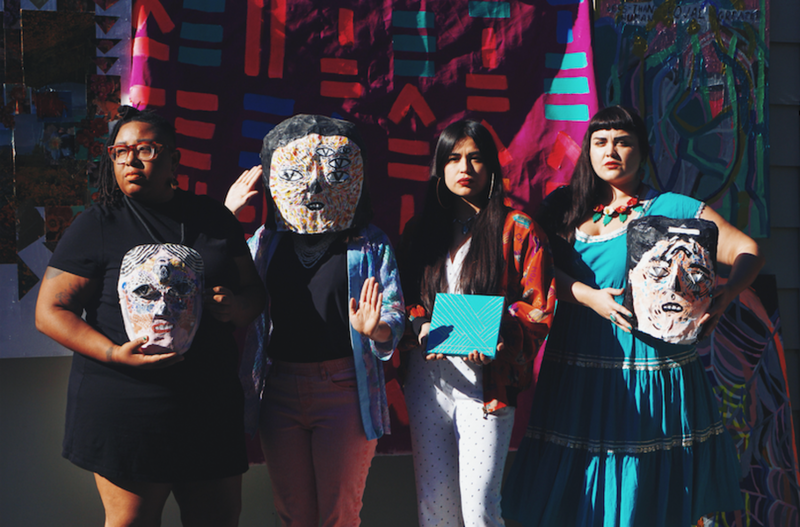 Through visual and curatorial practices, we prioritize the inclusion of marginalized bodies, emphasizing the perspectives of women, LGBTIQ and Two Spirit artists, and visual narrative of Indigenous, Latinx, Filipina and African Diasporic traditions, reflecting the multifaceted experiences held within our collective. Using our work as a way to navigate temporal and spatial realities enables collaboration with other histories, both personal and cultural, presented not as didactic but experiential. Each viewer is implicated as participant through the complex narratives one embodies. With so many of our respective histories held in archives that fracture the relationship between living culture, object and community of origin, we are intent on building an archive of work that surpasses institutional boundaries. Like the complex narratives held within us, our archive is evolving in its expansiveness.